On March 30, the new Hallmark Channel movie A Brush with Love will debut at 8 PM. 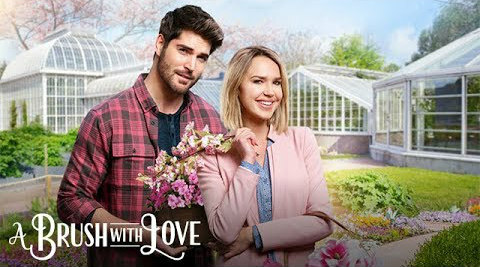 As she considers giving up on her artistic dreams, Jamie (Arielle Kebbel) paints a vision board that brings her success and love – only to discover that the mystery man (Nick Bateman) in her painting isn’t who she thinks. Here is a trailer for A Brush with Love.